This week, we find out more about Komedia, Bath. We spoke to Sales and Marketing Officer / Duty Events Manager, Sveta Antonova, who tells us all about the multi-purpose art centre, including their cinematic history and taking selfies with John MOuse. 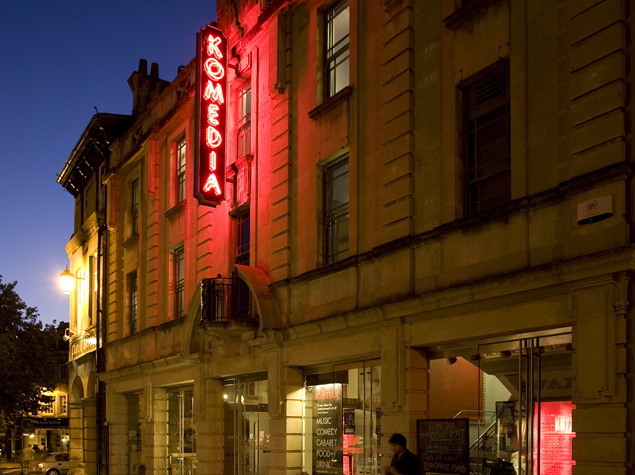 See full listings for ​Komedia Bath here. Located in the heart of the city centre of Bath, Komedia is only a minute away from the Roman Baths, the Spa, the Abbey, all the pubs & food places – everything you could need for a great night out. Our main auditorium includes a balcony on the first floor, and can hold almost 800 people. Furthermore, we have a small 'Arts Café' stage for more intimate gigs – this one is often used as a test space or a platform for open mic events of any kind. Generally, we adjust the venue with every event: from cabaret seating for 250 people at a Ministry of Burlesque show, to jumping around with the Buzzcocks at an 800 capacity, or a film launch with Rose & Rosie in seated rows for 500. 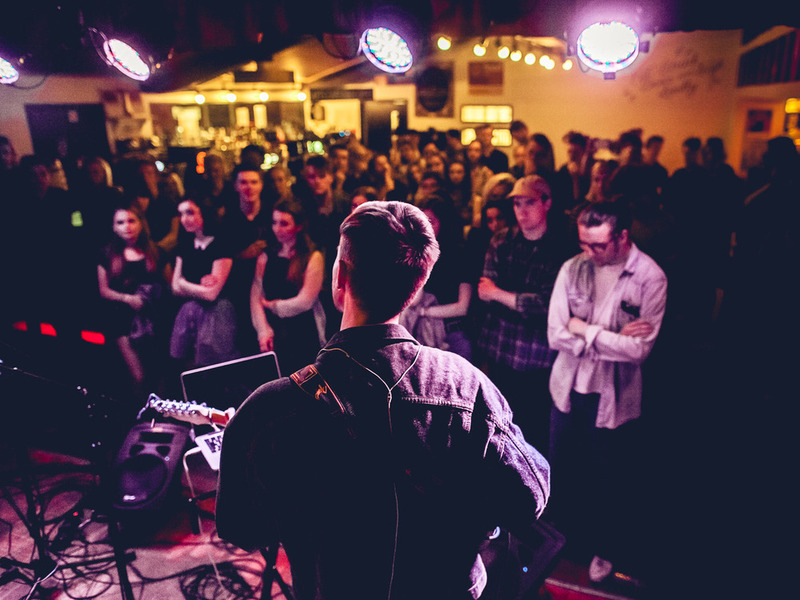 Our Arts Café stage supports local indie bands playing for 100 people standing, or seated events such as the New Act Comedy Night, one of my favourite nights, for 70 people. We put on a range of events for 70 up to 800 people. I have been working here since 2016 in different roles; from food running and working the club nights, to helping out finance. I have seen and been in all of the hidden corners of this beautiful building. Now, I am Sales and Marketing Officer as well as Duty Events Manager. After launching Komedia Brighton in 1994, Komedia Bath was formed in 2008 when our founders took on the abandoned old Beau Nash cinema building (which has been here for over a decade! ), and turned it into a multi-arts venue for the people of Bath. 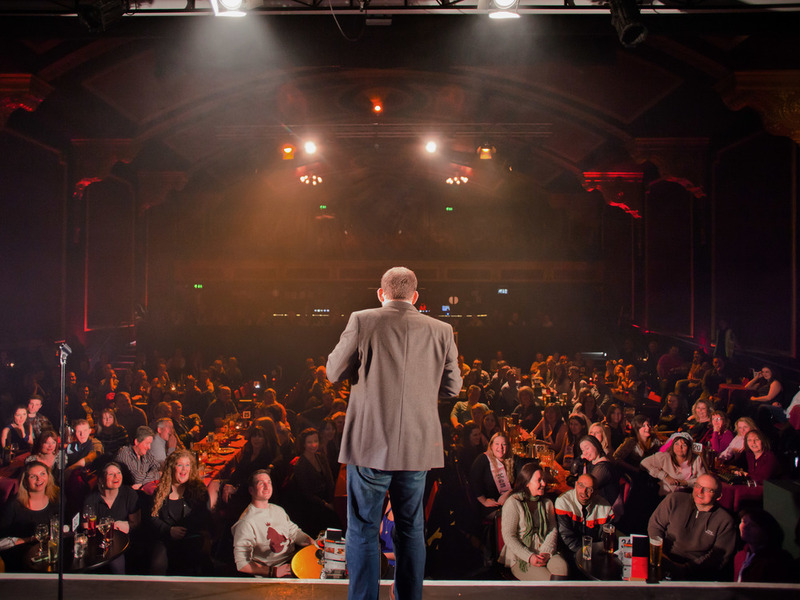 Since then, we've hosted thousands of music gigs, comedy shows, cabaret nights, film screenings – you name it, we've held it! The Grade II-listed neo-classical cinema, formerly known as the Beau Nash Picture House, went through extensive refurbishment to become Komedia. The Picture House was transformed into an auditorium, but going upstairs to the balcony with its cinema-style seats. It is still visible how this space used to operate as a cinema. All in all, we host more than 400 events a year and at least 4 a week. The British indie folk band Daughter played one of their first ever support acts at Komedia Bath a good while ago. Lucy, our Assistant Venue Manager, remembers that one well. It was an amazing show, and they had such an impact on the crowd! Definitely John MOuse, in my opinion. I saw them once supporting Half Man Half Biscuit on the Auditorium stage, and another time for a solo performance in the Arts Café. Every time I see that name popping up in our calendar, I book an evening off and look forward to take another selfie with John after the show. He's a crazy performer: sweeping the floor in the Auditorium between people whilst singing, throwing his shoes around with some good old punk attitude. That was the first ever Bingo Lingo show we had programmed on the 12th December 2017. This evening was not about a famous band, comedy or cabaret for me – even though these are the nights I regularly visit as a customer – it was about the people. It was nice to have something on that was not related to the Christmas season during the stress of December. Bingo Lingo is a crazy event in itself, and it sold out immediately. I was event managing the night, and there was a point where I stood at the back row on the balcony, overlooking nearly 400 people jumping up from their seats at the same time and dancing to one of my favourite songs (because somebody had a Full House)! The energy was fantastic, all the staff were dancing behind the bars, and I looked at the security on my right and the bar on the left; everybody was dancing and indulged in the moment; and I thought "My life is pretty awesome." Live entertainment is nothing without the people, is it? Doesn't matter if you have Kiefer Sutherland or the University's big band on stage. Not many people know that we are a team of only 8 people working in the tiniest office in Bath. It is honestly the size of my bedroom. But then there are more than 80 people working on the shows, forming the Komedia crew. Each one of them could tell you a hundred stories. Remember when that wrestler bashed that other wrestler's face on the main bar in front of Mark and poured a jug of tab water all over him? Or the night our till system went down and we all practiced our school maths? Or the one when I got stuck in a conversation with comedian Larry Dean after his stand-up and forgot to start the next show? Or the night Johnny Rotten crawled down the stage steps whilst we held our breath! Next time you come in, ask us that question again, we won't disappoint you. 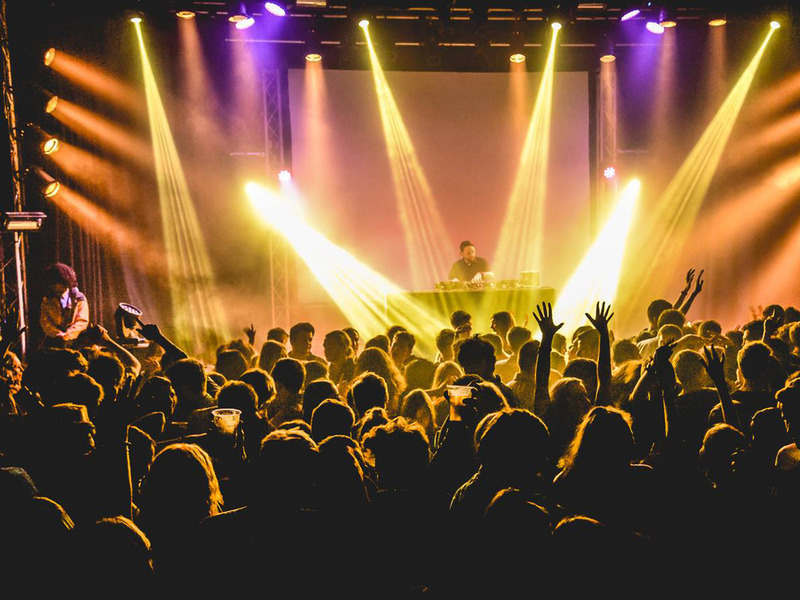 Track ​Komedia, Bath here to keep up to date with all forthcoming events. You can also catch them on their official website, Facebook page, Twitter, and Instagram accounts.